According to Sherdog, UFC CEO Lorenzo Fertitta and President Dana White have scheduled a press conference for next Wednesday, December 15th in Rio de Janeiro, Brazil to announce the Octagon’s first event in the city. MMA’s head honchos won’t be invading the jiu jitsu-crazed nation empty handed. Along with Mayor Eduardo Paes, UFC champions Mauricio “Shogun” Rua, Anderson Silva and Jose Aldo will also be in attendance. Middleweight contender Vitor Belfort and Hall of Famer Royce Gracie are also expected to make a cameo inside the Palacio da Cidade. 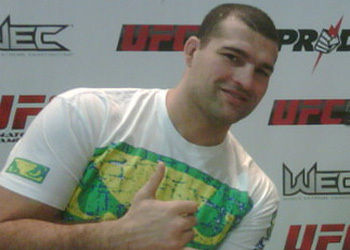 The start-studded roster was confirmed by Textual, the UFC’s public relations company in Brazil. It’s been over a decade since the Octagon last sniffed Brazilian soil. In 1998, Sao Paulo hosted “UFC 17.5: Ultimate Brazil.” Native Wanderlei Silva was TKO’d in 44 seconds by Belfort in the card’s co-main event.